And while the date of December 7 has indeed lived in infamy, the cultural impact of that date was not as great as the cultural impact of the date of September 11 — even accounting for the different times in which we live. I can make this statement because of a new technique for quantifying cultural trends that was described in the journal Science last week. A copy of the paper can be found here (registration required). Christening the technique “culturomics,” the authors of the paper describe how Google’s book-scanning project has provided a new source of cultural data. Of the many things that Google has done, this perhaps impresses me the most. As is well known, Google has been scanning books for some time now. It has so far converted some 15 million books into electronic documents — about 1/6 of all the books ever published. What the culturomics project does is to record every word used in the scanned books according to its time of publication — without context. There are therefore no copyright-infringement concerns, and a relatively simple interface allows the frequency of occurrence of words or phrases to be generated over time. The graph below is my result for “December 7” and “September 11.” While there is clearly a peak in reference to December 7 in books around the time of Pearl Harbor, those references have now dropped back roughly to the level they were at before Pearl Harbor. And what prompted my observation at the beginning of this post is that the peak for references to September 11 is greater than it ever was for December 7. The kinds of research that can be performed with this database are impressive — and they will only get more impressive as more books are scanned, as magazines and newspapers are added to the database, and — as must surely ultimately happen — every word ever present on the Internet is included. The Science paper gives a number of examples of the kinds of information that can be gleaned. Linguistics is one field where the implications for research are immediate: one can readily see how the usage of words changes over time — “throve” gives way to “thrived” and “smelt” gives way to “smelled.” The research interestingly discovered that fame was more enduring in the past than it is now, with peaks for names of individuals being sharper and narrower in more recent years than in the past. It was able to identify the influence of government censorship as references to certain names or ideas were widely present in one language but suppressed in another. These and many other references to culture can now be quantized and modeled in ways that were not really possible before. To illustrate some of the potential, I decided to do some very simple evaluations of legal issues. These examples use only the simplest techniques that mining the data affords and already it is evident how other mining techniques could lead to much more informative information about the impact of law on culture. My first plot is one in my own field of practice: intellectual property. The graph below shows the frequency of usage of the words “patent,” “copyright,” “trademark,” and “intellectual property” in the last 200 years. For the most part, references to patents are stable while references to copyright and trademark have evidently increased in recent years. The graph reflects not only the generally greater value of patent protection over other forms of intellectual-property protection, but also that the importance of copyright and trademark protection have increased relatively recently. The term “intellectual property” itself is seen to be a recent term, in use only for the last 30 years or so. I have also looked at references to four of the most important Amendments to the US Constitution over the last 170 years. Interestingly, it is only in the last 40 years that references to the First Amendment have predominated, even though it is certainly the most popularly identifiable. Prior to that, it was references to the somewhat more obscure but in many ways more important 14th Amendment that dominated. The graph also shows interesting peaks in the curve for the 14th Amendment, such as in the 1960’s and early 1970’s when the Supreme Court was using the 14th Amendment to incorporate the Bill of Rights so it would be binding on the individual states. Interestingly, decreases in recent years can be seen to all of these Amendments, perhaps reflecting less interest generally in Constitutional issues. My next search considered some of the more influential Supreme Court justices. Antonin Scalia recently described William Brennan as “probably the most influential justice of the [20th] century.” And yet, while Brennan’s influence seems to have peaked in the 1990’s when he was nearing retirement after 34 years on the Court, references to him have already begun to fade. Indeed, Scalia himself is faring better than Brennan ever did. But both of them are utterly dwarfed by Oliver Wendall Holmes, whose name is still used more often in books that Brennan, Scalia, and Brandeis combined. My final example is a search of references to some landmark Supreme Court cases. Of the four cases I considered, all of them have some interesting features that one can correlate with known events. But what I find most interesting is that Roe v. Wade has by far the most cultural impact, even when there is no doubt that the other cases I searched were important ones. Not only has the impact of Roe v. Wade been strong, its impact increased sharply in the first 30 years since it was decided. The reason for the decline since 2001 is not something that is immediately apparent to me — but I suppose the best research is research that raises yet more questions. Anyone can use the database for his or her own searches by going here. My examples have been extremely crude ones and there are a number of important caveats and constraints that need to be accommodated in actual research. But even dipping my toe into this sea has whetted my interest in its enormous potential. Oh, the trouble that tiny Rhode Island can cause. During a period of time in 1841 and 1842, there were two governments vying for legitimacy in Rhode Island, the one that had been in existence from the time of the Declaration of Independence and another led by Thomas Wilson Dorr, who objected to the state’s voting requirements. Originally, Rhode Island allowed only landowners to vote. It was an acceptable enough system in a territory where almost all of the citizens were farmers. But with increased industrialization and the migration of many to cities, the fraction of people eligible to vote became progressively smaller, concentrating power in the hands of a land-owning elite. No women or blacks were eligible to vote and by the early 19th century only a minority of white men possessed that right. Unable to change the structure internally, people took matters into their own hands, prompting the Dorr Rebellion. Rival constitutional conventions were held, leading to parallel elections, and to the separate election of both Dorr and Samuel Ward King as governor of the state. On June 24th, 1842, the King government declared the state to be under martial law. Martin Luther, who sided with Dorr, was alleged to be engaged in traitorous activity and the King government ordered him arrested. Luther Borden effected the arrest, breaking into and searching Martin Luther’s home, and damaging his property in the process. Martin Luther sued, alleging trespass by Luther Borden. Borden defended himself, claiming he was acting in his official capacity and with the authority of government. Martin Luther countered, asserting that the King government was illegitimate. Who was to decide which government was the legitimate one? The only possibility was the Supreme Court of the United States, which was confronted with the trespass claim in the famed case of Luther v. Borden. It was in this case that the Supreme Court first articulated the “political-question doctrine.” A copy of the Court’s decision can be read here. Essentially, this doctrine asserts that there are some controversies that are simply not within the legitimate purview of the judiciary to decide. The doctrine is not firmly defined and it has shifted in application over the years. But it is not simply that an issue is controversial that can invoke the doctrine — after all, the Court did not hesitate to make rulings on abortion, racial desegregation, affirmative action, the death penalty, and even the infamous counting of Florida votes ten years ago — an issue that at first blush might seem to be the paradigm of a “political question.” Rather, the federal courts must decline to make decisions in cases particularly where they lack sufficient standards to apply. The political-question doctrine is centrally at issue in American Electric Power v. Connecticut, which the Supreme Court agreed to hear last week. The case is one of four prominent climate-change cases that relies on the legal theory of “public nuisance.” A “nuisance” results when there is a substantial interference with the right to use and enjoy land that results from the defendant’s activitity, with a “public nuisance” being an unreasonable interference with a right common to the general public. The interference need not be intentional, but can arise from negligence. The American Power case was brought against a number of power companies by several states — including pipsqueak troublemaker Rhode Island — as well as some private land trusts. Application of the nuisance theory is the same in this case as it has been in the others: The defendants engage in an activity that releases greenhouse gases into the atmosphere, impacting the climate and resulting in an interference with the public’s use and enjoyment of land. The theory is tidy and almost certainly correct in the abstract. But even so, every district court that has been presented with this nuisance theory has determined that it is not something the judiciary can rule on because it is a political question. The reasons for doing so are, to me, compelling. The devil is indeed in the details. Begin by considering the enormous difficulties involved in sorting out causation. The Earth’s climate system is extremely complex: it took roughly 100 years since Svante Arrhenius first quantified the relationship between temperature and atmospheric CO2 in 1896 for climate scientists to settle on a consensus that anthropogenic release of greenhouse gases is warming the planet. And this factor does not operate in isolation, with a number of other natural influences having both warming and cooling impacts. In addition, at least some of the greenhouse gases generated by humanity are absorbed by the oceans and by vegetation. Indeed, it was once thought by many climate scientists that the oceans would provide a sufficient sink to accommodate any level of greenhouse-gas emissions that humans could conceivably produce. The result is a system in which it is truly impossible to correlate particular acts of generating CO2 or other greenhouse gases with particular climate events. It is very much like Philip Merilees’ concoction of the “butterfly effect,” in which we recognize that the chaotic nature of weather might allow the beating of a butterfly’s wings in Brazil to set off a tornado in Texas. But even with such an understanding, it is inconceivable that we could ever identify the butterfly who caused the problem. Is the answer to condemn every winged insect on the planet? Those bringing these nuisance-based lawsuits accordingly rely on a theory of “contribution,” claiming that there must be liability on the part of power companies, petroleum companies, etc. because they contribute to the problem. There is no question that they do. But so does almost every single one of the 7 billion people on the planet as they engage in activities that contribute to the generation of greenhouse gases. It is surely possible to single out power companies and assert that they contribute more than an individual like me. But it is equally possible to single out any large group of people: the residents of Los Angeles, Chicago, and Houston, say, or perhaps all people who choose to have children. These large groups contribute greatly to the warming issue. It is, moreover, simplistic to suggest that power companies and petroleum companies should not engage in their business. They are far too important to maintaining the standards of living that citizens expect and for providing a critically important sector of the world’s economies. It seems plainly unwise to leave it to a small number of judges to decide how to balance the intricate interconnection of these issues — the risk to the environment, the effects on human health, the socioeconomic impacts, and many others. It is better left to the policy determinations made by the legislative and executive processes of government, as imperfect as those may also be. Currently, the decision of the two judges on the Second Circuit Court of Appeals, who reversed the district court’s determination that the issue is a political question, stand alone in asserting that the judiciary may apply tort nuisance principles to the issue of climate change. Their reasoning can be found here. When I commented some months ago on the Comer v. Murphy Oil case in the Fifth Circuit (see here), I suggested that clear guidance from the Supreme Court would soon be needed. I, for one, am eager to see what they decide. We did not always understand the role of germs in causing disease. 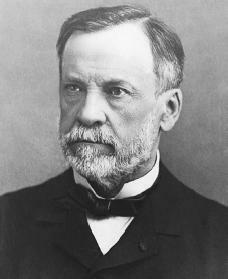 Indeed, the germ theory of disease was controversial until Louis Pasteur reported the results of decisive experiments that demonstrated that micro-organisms are responsible for the spoiling of milk, wine, and beer. The eponymous method of pasteurization that he developed to kill the micro-organisms is still used today. Extending the idea of infection by micro-organisms led him to solve what were at the time mysteries of how rabies, anthrax, and silkworm diseases were caused. It led him to diverse discoveries important both in the development of vaccines and in understanding the scientific basis for fermentation to make beer and wine. Almost exactly 100 years after Pasteur filed his patent application, Ananda Mohan Chakrabarty would become famous in the would of patent law when he genetically engineered a bacterium derived from the Pseudomonas genus so that it effectively broke down the components of crude oil. The idea was that it would be useful in dealing with oil spills. But the issue that was perhaps finessed by Pasteur then came squarely before the Supreme Court of the United States: can a lifeform be patented? It was a close call. A bare majority of the Court, guided by Congress’s assertion when it passed the modern Patent Act that it intended to “include anything under the sun that is made by man,” concluded that genetically engineered organisms could be patented. A copy of the 1980 decision can be read here. Things have only continued to get more interesting. Indeed, in the world of patent law, the most famous animal is undoubtedly the Harvard oncomouse, the first animal in the world created by genetic engineering. In 1984, Philip Leder and Timothy Stewart of Harvard University introduced a specific gene — called an “activated oncogene” — into mice, deliberately increasing the mice’s susceptibility to cancer, specifically in a way that generally mimics the course of the disease in humans. The idea was that the high susceptibility to cancer would make the oncomouse an ideal research tool so that any variety of experiments involving cancer would be simplified, whether for treatment of tumors or simply to understand the mechanism by which tumors are created. The oncomouse was patented in the United States on April 12, 1988 and in Europe on May 13, 1992. Similar patents have also issued in Japan and New Zealand. While the general acceptance by most countries that genetically modified organisms are patentable has almost certainly contributed to promoting efforts in the biotechnology research fields, many people still have considerable discomfort with it. Consider, for instance, that the Supreme Court of Canada rejected the patenting of the oncomouse, even over dissents that wanted to follow the American example more closely. A copy of the Canadian decision can be found here. Even more alarming to many is that since Chakrabarty the U.S. Patent and Trademark Office has been issuing patents that are directed not only to engineered organisms and not only to synthetic DNA but also to unaltered genomic DNA — human genes. Indeed, there are currently about 40,000 patents that cover sections of the human genome: of the roughly 25,000 or so genes that define “me,” about 3,000 of them have some kind of intellectual property claim over them. Somewhat surprisingly, no U.S. court has actually ruled on whether these kinds of patent claims are legitimate — until now. In Association for Molecular Pathology v. U.S. Patent and Trademark Office, a lower court ruled that such claims are not patentable. The crux of the reasoning is quite simply that even if we accept that anything under the sun made by man might be patentable — those things that are made by nature, like genomic DNA, are not patentable. A copy of the decision can be read here. The case is currently under appeal. What surprised many is not that the case was appealed. After all, the conclusion is a critically important one that will not only affect the validity of tens of thousands of patents, but will also have numerous ripple effects: funding for research programs investigating genetic disease will be affected, the viability of companies employing thousands of people to research genetic disease will be impacted, and there will be some effect on how quickly results of that research develop into effective treatments for people. The underlying question is the age-old one: does granting patents in this area promote or inhibit technological progress? What did surprise many is that the U.S. Justice Department filed an amicus brief in the case last month arguing that such claims are not patentable. A copy of the government’s brief can be found here. It is astonishing to think that something like 12% of me has been patented and my instinctive reaction is to be offended. It seems so intrusive. They’re my cells — hands off. The issue raises deep and profound questions that need to be addressed. But at the same time, patents are temporary, lasting only twenty years, and it is very possible that issuing patents on genes can spur medical marvels. Enduring a relatively brief period with what is mostly an abstract offense might not be so terrible. In August, when the web site Wikileaks released its Afghan War Diary, I commented on some of the legal issues it raised. In light of what I increasingly think is a shrill reaction by the US government to being exposed by information that no one contends is untruthful, I believe it is worth reiterating the things I said in August. A copy of my earlier post can be found here. And I very much urge people with an interest in what Wikileaks is doing to consider carefully for themselves the Constitutional issues as they were considered by the US Supreme Court in 1971. The First Amendment to the US Constitution is viewed not only in the United States but in many other parts of the world with near-reverance. The issues are not simple ones and to understand where the United States truly stands, not only according to the highly publicized views of the executive and legislative branches of its government, but also as constrained by its judicial branch, it really is necessary to read all of the various concurrences and dissents. The Court’s opinions in New York Times Co. v. United States can be found here.